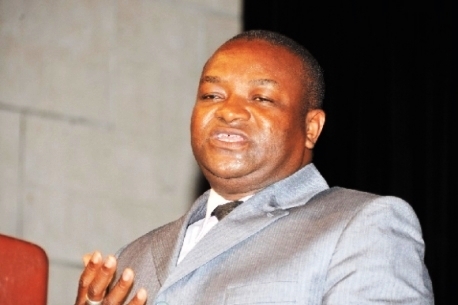 Founder of the All People’s Congress (APC) Hassan Ayariga says he will sue the Electoral Commission of Ghana (EC) if it fails to implement its regulation to ban political parties not in good standing from contesting the 2016 elections. The Commission has given parties up to May 31 to submit audited reports in order to renew their certificates. The EC has also made clear its intentions to revoke the licenses of parties, which do not have offices in two-thirds of districts in the country, a regulation which has been severally contested by some parties. Most of the parties are describing the move as discriminatory and an affront to democracy. But in an interview with TV3, Mr Ayariga, who founded the latest political party in the country, said the EC cannot go back on its resolve especially when some parties have stretched themselves to set up offices across the length and breadth of the country. “It will be politically bias for the EC to allow other political parties to go through while others will not be given the opportunity to go through,” he argued. The 2012 presidential candidate said within a short period he managed to set up 220 constituency offices and 150 district offices. He said all the regional capitals have APC offices. He also took a swipe at the Institute for Economic Affairs (IEA) over this year’s presidential debates, which will have an exclusive one between leaders of the country’s two major parties, as proposed. 12 signs he’s just ‘using you’ and will dump you soon!